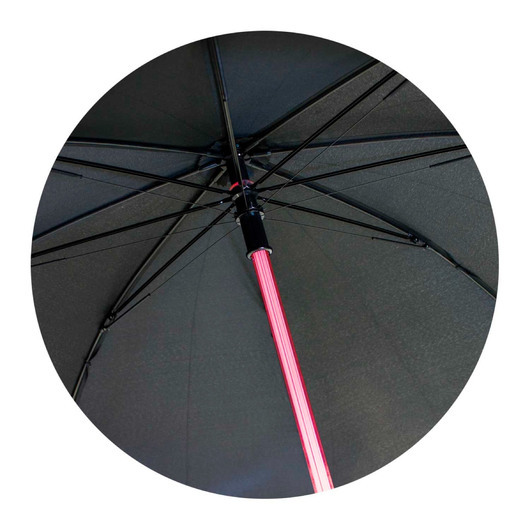 Deflect rain easily with the awesome power of these umbrellas! Unleash the force to stay dray and safe wherever you might be in the universe with these futuristic umbrellas. 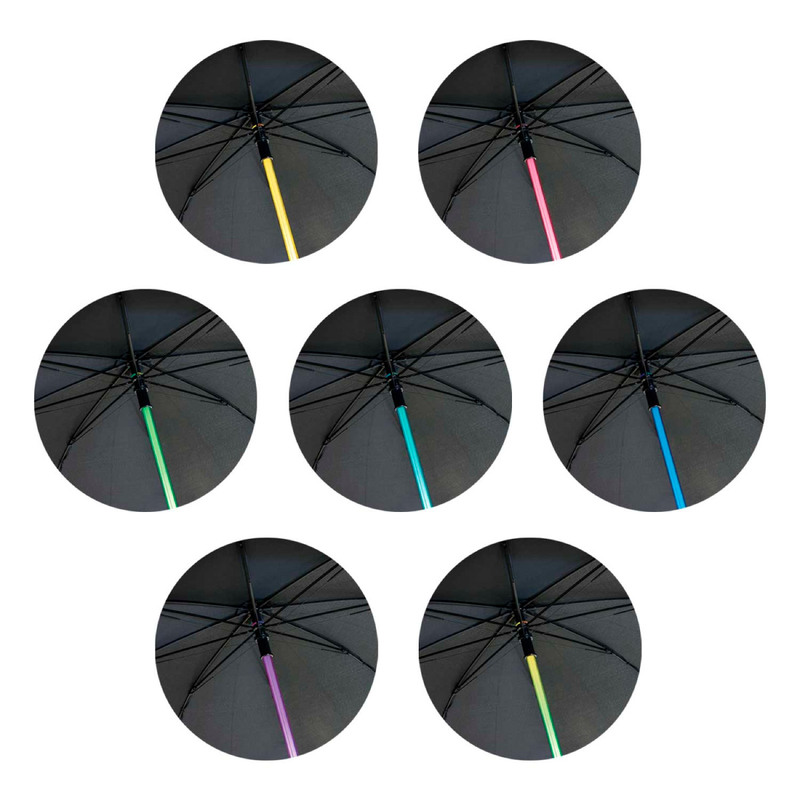 These brollies feature a super bright LED shaft which will light up with multiple colours so the user can easily be seen, providing a fun and also safety element. In the base of the handle there is also a flashlight to light the way in the dark. The umbrella has an 8 panel, 190T showerproof polyester canopy with 58cm ribs. It has an 8 rib spring loaded metal and fibreglass frame. 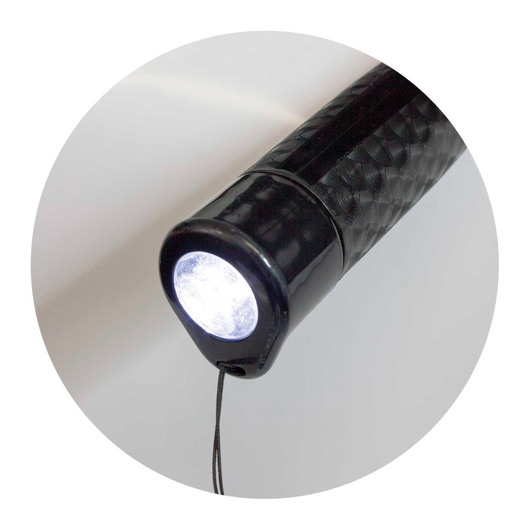 Other features include: gun metal tips, a Velcro tie and a slip on pongee carry sleeve.